when i was able to afford my first laptop 6 years ago, i have always installed an anti-virus software in my unit. i know there are ‘free’ ones you can readily download in the internet but it’s just that i am not comfortable of putting any of those in my computer. the first anti-virus software i ever used was norton, a trial pack was in my newly purchased hewlett packard notebook then so i just bought the same when the trial period expired. for four consecutive years, i was using the same brand and last year (see related post), i tried using kaspersky which was recommended by our saudi national i.t. technician, and it worked very well. 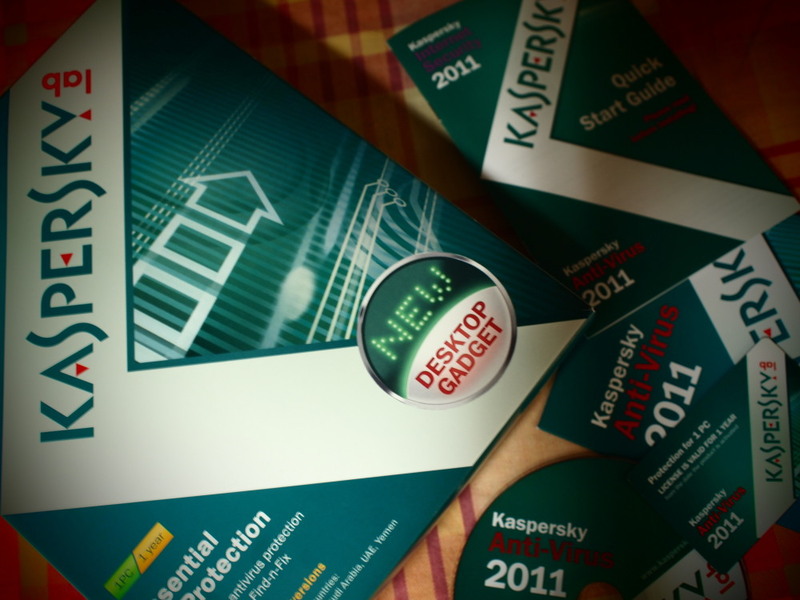 i bought the kaspersky 2011 the other day at a bookstore in khobar, the price is actually a little cheaper than symantec’s norton. so why do i spend money to buy a software that you can download for free? simple – a purchased one assures me that i cannot be victimized of various digital and complex threats that can damage my computer. i use my laptop computer mainly for web-surfing, blogging and rarely for work so if i open a webpage, an e-mail or receive an instant message in the messenger, i am confident that the anti-virus software which i installed will check unsafe content. This entry was posted in stuff stop and tagged anti-virus software 2011, kaspersky, kaspersky anti-virus 2011, kaspersky lab. Bookmark the permalink. .. irereport kita kay eugene kaspersky! may direct number ako nya sa moscow! having worked for an anti-virus company, and compared the best AV in the market, I realized there’s an AV that will work best for you. and a lot more. di ko na maalala yung iba. chyng of no spam, no virus, no kiddin’! .. wow, an opinion from the expert! hehe. oo chyng, i am considered as one of the “paranoid” users. di ako mapakali pag di ako confident sa anti-virus software ko. avg anti-virus free edition is pretty decent. .. nothing against it but it didn’t worked for me, max. why do i buy an anti-virus software? dapat ang sagot MO dyan, rob –simple. because i can afford it! hahaha. .. di rin! nakasanayan na lang siguro. a wise thing to do, rob. pero can’t afford ako muna niyan kaya yung free version yung sa akin hehehe. .. as long as it protects you computer and you’re satisfied with it, it really does not matter kung free version. paranoid lang ako siguro talaga, haha! .. i am with the russians, sidney. lol! ako sophos for eypol at norton for pc. ma-try nga ang russian. .. sophos?! bago sa pandinig ko yan kasi for mac. meron din for mac users ang kaspersky. yep, sophos. 🙂 check it out. .. sabi nga di ganoon ka-prone ang macs on viruses e. last time na navirusan ako sa clinic pc ko, i was downloading a medical document, kala mo talaga reliable website, unknowingly “smart scan virus” na pala yung dinodownload ko!